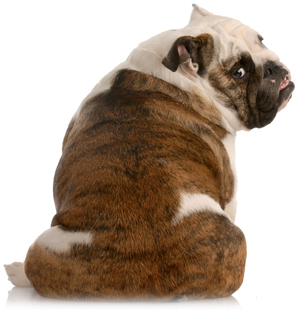 Senior dogs often gain weight and their digestion system may also weaken along with their joints. 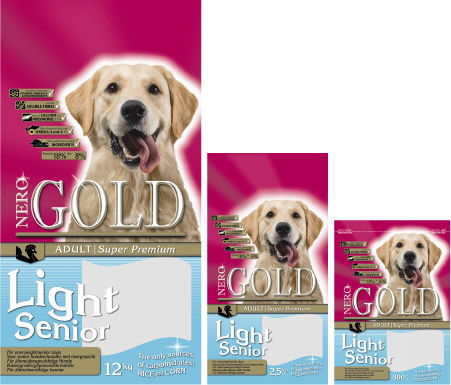 This Light&Senior food is carefully balanced with all the necessary elements to promote the digestion and joints, lots of turkey meat for great taste, but no unnecessary calories. Ingredients: corn, dehydrated turkey, rice, beet pulp, chicken fat, hydrolysed chicken liver, flax seed, carob, fish meal, yeast, egg powder, minerals & vitamins, chondroitine, glucosamine, L-carnitine, lecithin, inuline (FOS), taurine. Analysis: Protein 18,0 %, fat 8,0 %, fibre 3,0 %, ash 4,0 %, moisture 10,0 %, phosphor 0,7 %, calcium 0,9 %. Added: Vitamin-A (E672) 20000 IU/kg, vitamin-D3 (E671) 2000 IU/kg, vitamin-E (as all-rac alpha tocopheryl acetate) 200 mg/kg, vitamin-C (as l-ascorbic acid phosphate) 70 mg/kg, E1 50 mg/kg, E2 1,5 mg/kg, E4 5 mg/kg, E5 35 mg/kg, E6 65 mg/kg, E8 0,3 mg/kg.